Last week, I told you about one of the most powerful motivations for successful language learners–which is using the culture in order to add inspiration and purpose to your learning. Today, we are going to take it a step further to the upper limits of learning a language. We will truly go beyond the simple, tangible aspects (like vocabulary and grammar) and discuss the more abstract, intangible inspirations for learning a language. If you think that learning a language (like English) is more than just a school subject or a means to get a better job, then let’s look at some bigger, more life-changing reasons for learning a language. Whatever language you learn–whether it’s one of the more influential ones (like English or Chinese), or a less common language (like Italian, Swahili or Korean)–another language is your key to the world. What I mean by this is that when you learn another language, you aren’t just able to talk to more people or experience a new culture (although these are important things). No. You’re also exposed to a whole new, different way of looking at the world. If we only know one language (or possibly even if we grow up bilingual), then we really are bound by the confines of the point of view of our own country. It will be hard for us to look at things in a different way, or truly understand another perspective. With technology, it’s not even necessary for us to travel (although it can be a life altering experience). Just by speaking to people online we are exposed to their culture, their worldview, and their experience. The number one lesson I learned the first time I lived abroad was that, in the end, we’re not SO different. When you learn another language and connect with people from different parts of the world, you realize that we really all have the same basic wants and needs. For me, this idea has only been strengthened with each language I learn, the more I meet new people, and the more I travel. Learning a second language gives you the means to understand why people from other parts of the world act how they act, and believe what they believe. 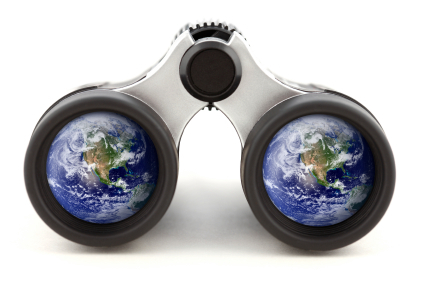 What’s more, it gives you a new scope through which to view and examine your own culture. My view of American culture has completely changed as I’ve traveled and learned languages–uncovering both the negatives and positives of my culture. We might not realize it, but most of our perspective of other cultures comes from media, our government, or stereotyping in general. What’s wrong with this is that when you stop just listening and actually start experiencing, you see that stereotypes are almost always wrong, and that honestly, it’s really hard to trust what we’ve been told by the media, which oftentimes has manipulative purposes. By actually being open and talking to people from different countries (online or in-person), you realize, for example, that most Germans aren’t cold or unfriendly, Brazilians don’t just play soccer, party, and dance Samba, that the French don’t just eat croissants and smoke cigarettes, that Spanish people don’t usually fight bulls… I could go on and on. Our cultures and histories may define some superficial differences, but at the end of the day we’re all PEOPLE and we all have the same wants and needs. I know this is a lot of information–it may even seem dense, and maybe you don’t believe all of it. That’s ok. Much of this is my opinion from my years of experience traveling and learning languages, and, in fact, A LOT of these feelings come from my exposure over the last two years to our international community of more than 100-thousand English learners from over 65 countries. If you find these ideas interesting, and you are ready to embrace them, then learn more about how to become a World Citizen by reading this article. To sum this all up, I really do believe that learning another language gives us a ton more potential to change the world, and I hope that you’ll open your mind and join me on this journey, if you haven’t already. The message of this article really is at the core of our vision for RealLife. We have spent many hours creating the hundreds of articles, videos, podcasts and other content that you find absolutely free on this website–we don’t make money providing all of these materials! Naturally, a lot of people ask us why we would do all of this for free; what’s our motivation for doing all of this work if it’s not explicitly for the money? Although I’m not going to lie and say we have no plans to make a living off of RealLife eventually–it’s one of our biggest goals–we do have a bigger purpose with all of this. Something that the three of us have experienced through getting to know different cultures, and especially by learning the language and communicating with locals when we have traveled is this idea that people really are not so different. This belief is only strengthened more and more by our global community, where over the last few years we’ve watched thousands of people connect and share their cultures through English. Without this sort of platform, this really would not be possible for many of these learners who don’t have the means to travel. We call this global citizenship, and it is why learning a second language might be more important than you think. 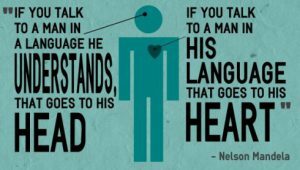 Even if your native language is one of the top ones at an international level (like Spanish, English, or Chinese), it’s will make a profound change in your life when you can communicate with someone in their native tongue (or at the very least, in a lingua franca). 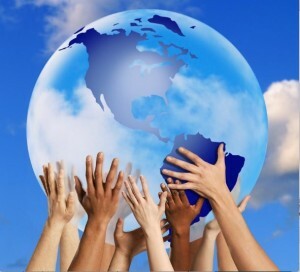 If you are interested in this idea of Global Citizenship (and you would like to become one! ), then get our free e-book, the Master Guide to RealLife Fluency, and to join our international social network, RealLife Global, where you can practice languages with people all over the world! If you liked this article and learned something, please SHARE it and COMMENT below. We would love to hear what you think. Another excellent article, I agree with everything you said!